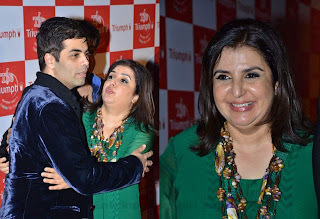 Farah Khan danced her way from an award winning choreographer to a director becoming the first woman to be nominated for a Best Director Award. 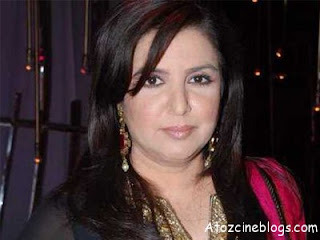 Farah Khan was born on 9th January 1965 to Kamran Khan and Menaka, who is Honey Irani’s sister. She has a brother Sajid Khan who is also part of show biz. Farah married Main Hoon Na’s editor Shirish Kunder in 2004 and gave birth to triplets Czar, Diva and Anya in 2008. 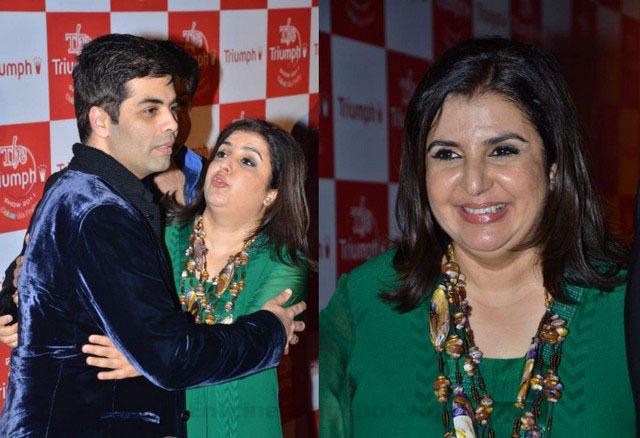 Farah Khan started out as a choreographer with Jo Jeeta Wohi Sikander (1992). She soon rose to the status of one of the biggest choreographers in Bollywood joining Saroj Khan. Her works include 1942: A Love Story (1993), Dilwale Dulhnaiya Le Jaayenge (1995), Iruvar (1997), Dil se (1998), Mast (1999), Dil Chahta Hai (2001), Monsoon Wedding (2001), Main Hoon Na (2004), Don (2006) and Om Shanthi Om (2008). Her work was showcased in international projects like Bombay Dreams and Vanity Fair. She received a nomination for the Tony Awards for Bombay Dreams. As one of the best choreographers in the industry, she worked with Shakira for the MTV Video Music Awards in 2006. Farah’s won several awards. 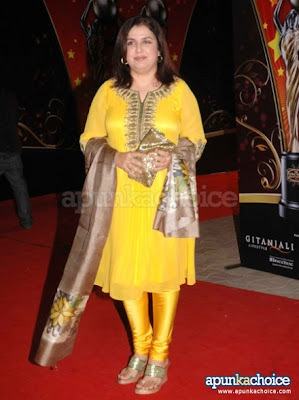 She has won the Filmfare Best Choreographer Award multiple times for Dil Chahta Hai, Koi Mil Gaya, Dil Se, Kaho Na Pyaar Hai, Main Hoon Na and Viraasat. The song sequence ‘Idhar Chali’ from Koi Mil Gaya won her the National film Award for Best Choreography. 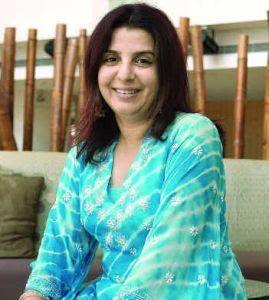 Farah Khan choreographed and directed Main Hoon Na (2004) with Shah Rukh Khan in the lead, who also produced the movie. She became the first woman director on the best director nomination list and won the Star Screen and Zee Cine’s Best Debut Director Awards. 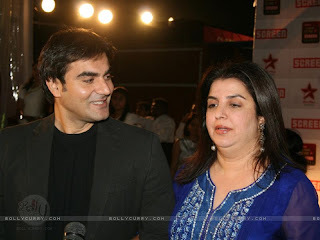 Her second movie was the glitzy Om Shanthi Om (2008) which was widely publicized and had the biggest stars of Bollywood onscreen for the first time in a song sequence. The movie was an instant hit and won several awards.